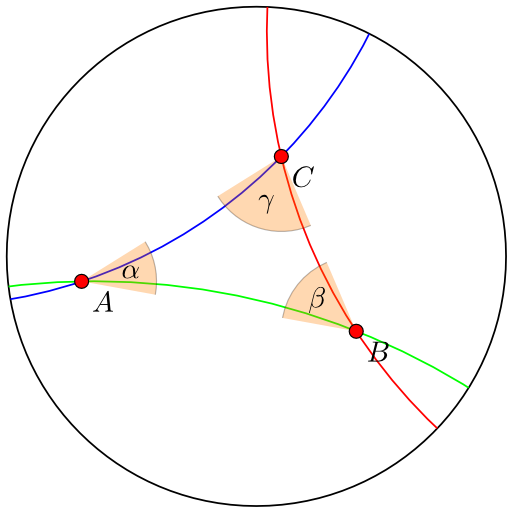 However, as you can see, the angles are not marked correctly. How can I mark them? Can I mark the exterior angles the same way? You can do this by first marking the angles, then "clipping" them by covering them with white, and finally drawing the rest of the picture. It's a bit of a hack and might not work in every case, but it works here. 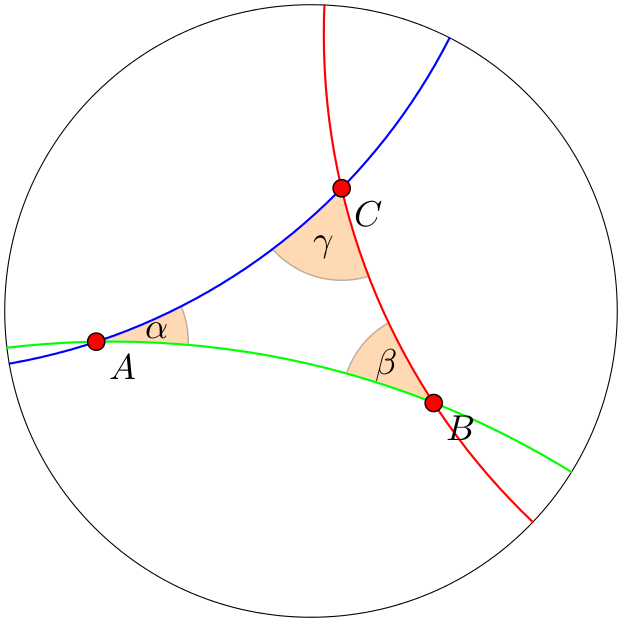 How can I mark right angles in tkz-euclide with round quarter-circle and a dot?